Hanging Christmas ornaments from the ceiling gives an over-decorated tree room to breathe and gives you new options for decking the halls. 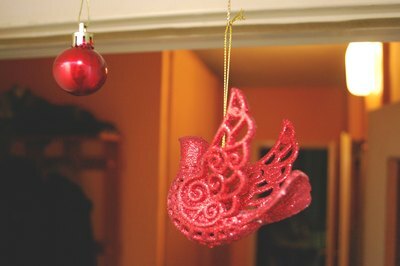 There are different methods for hanging your ornaments from the ceiling, but one that gives you customization options with a shiny, silvery touch is to use magnets. When you use magnets to hang your ornaments, you can quickly and easily change them out throughout the season. 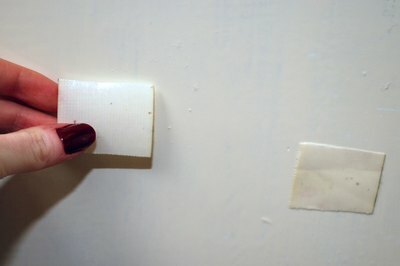 Press removable, double-sided adhesive squares, such as those for hanging posters and lightweight items, into the ceiling at intervals. 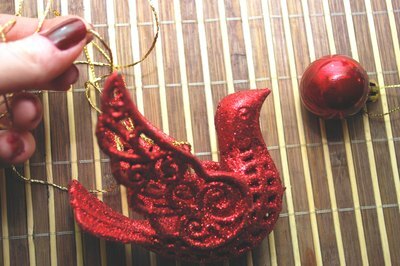 Do not press them too close together or else your ornaments will tangle with each other. 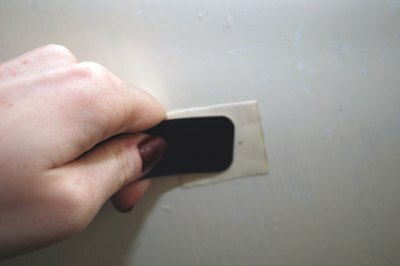 Press a magnet into the adhesive square to attach it to the ceiling. 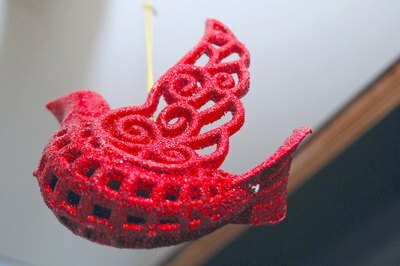 Attach a length of fishing line or decorative holiday ribbon to an ornament. Hot-glue the other end of the line or ribbon to a magnet. Connect the two magnets so that the ornament hangs. Repeat with more ornaments and magnets, cutting the line or ribbon to varying lengths.